Browse > Home / News / Making a Mess or is it Art? 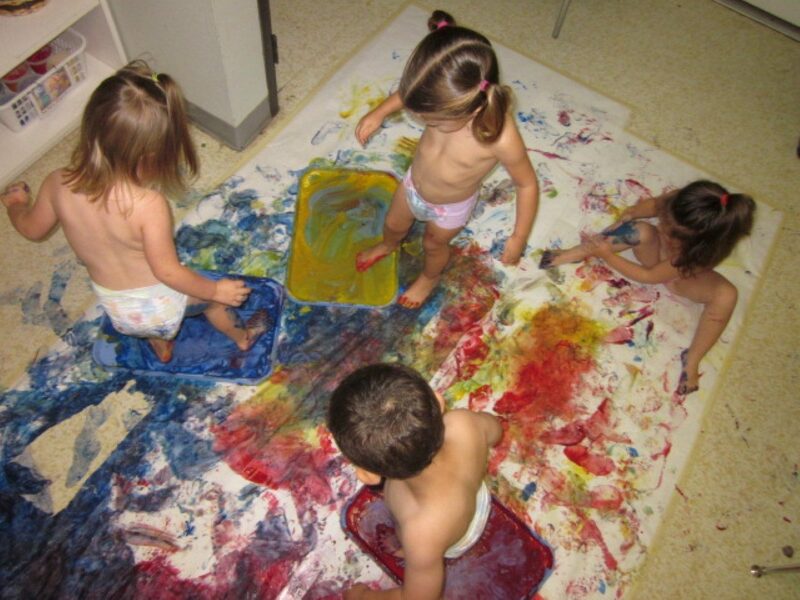 Making a Mess or is it Art? 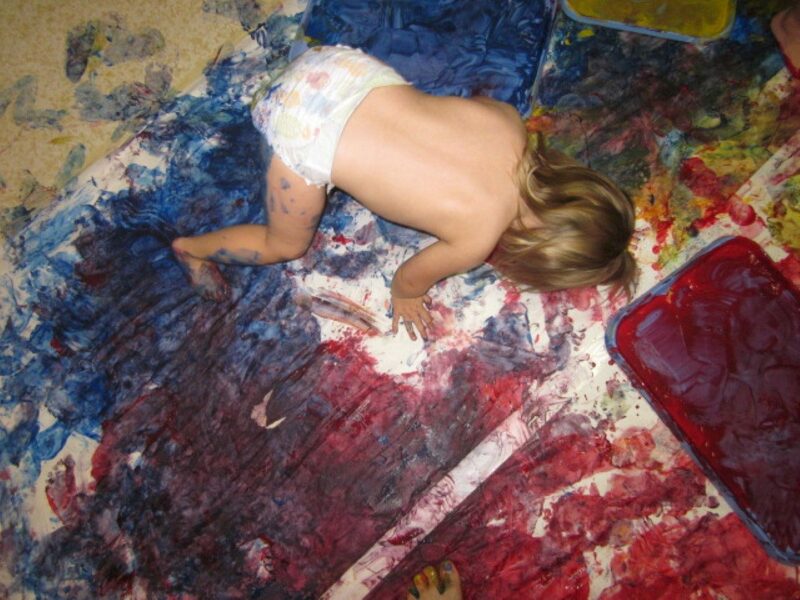 Room 6 explored paint, not with brushes, but with their entire bodies! They started with the three primary colors, red, blue and yellow, and the finish product looked more like purple and green. 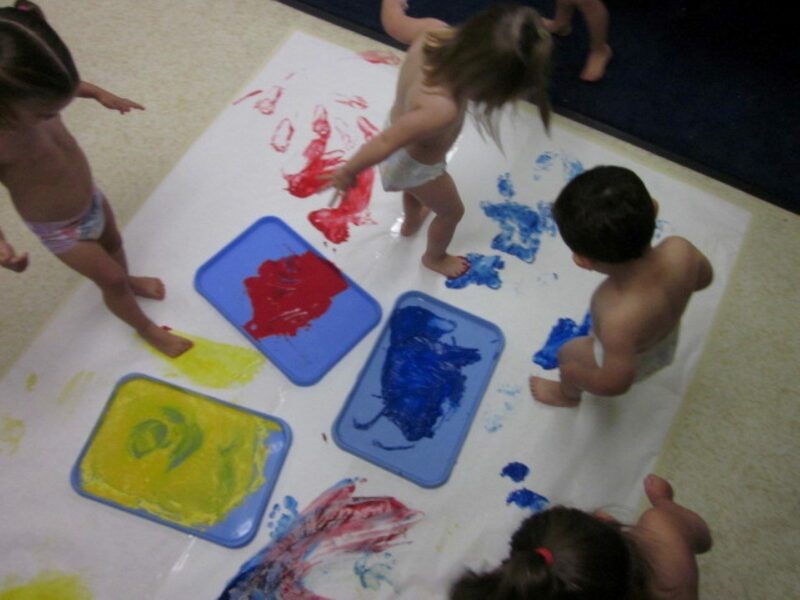 The children were able to slip and slide on the paper, even getting on hands and knees to create a large piece of art!